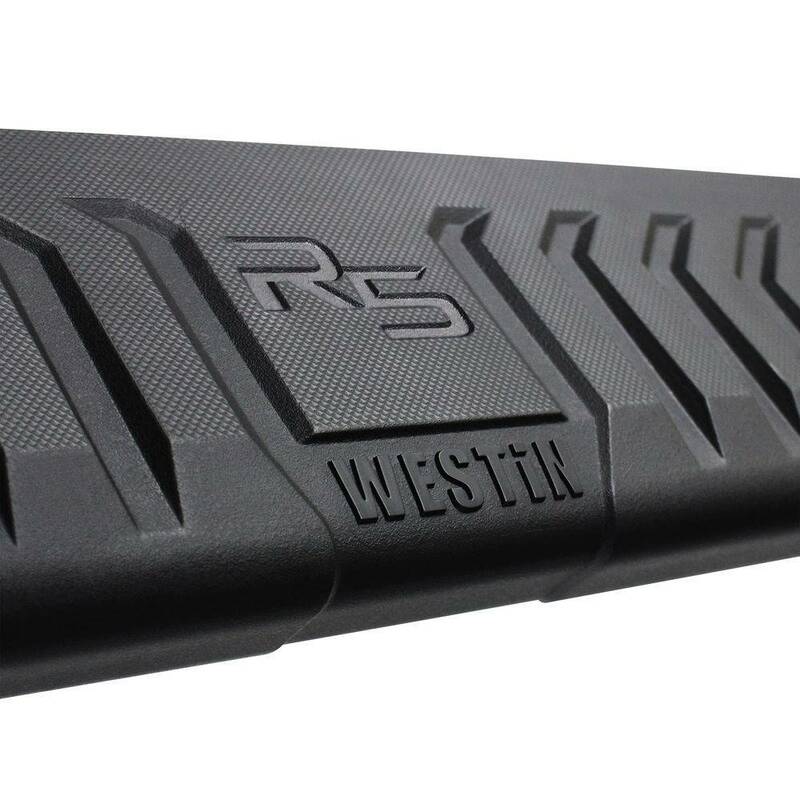 Get a boost, with Westin’s R5 Modular Wheel-to-Wheel Nerf Step Bars. 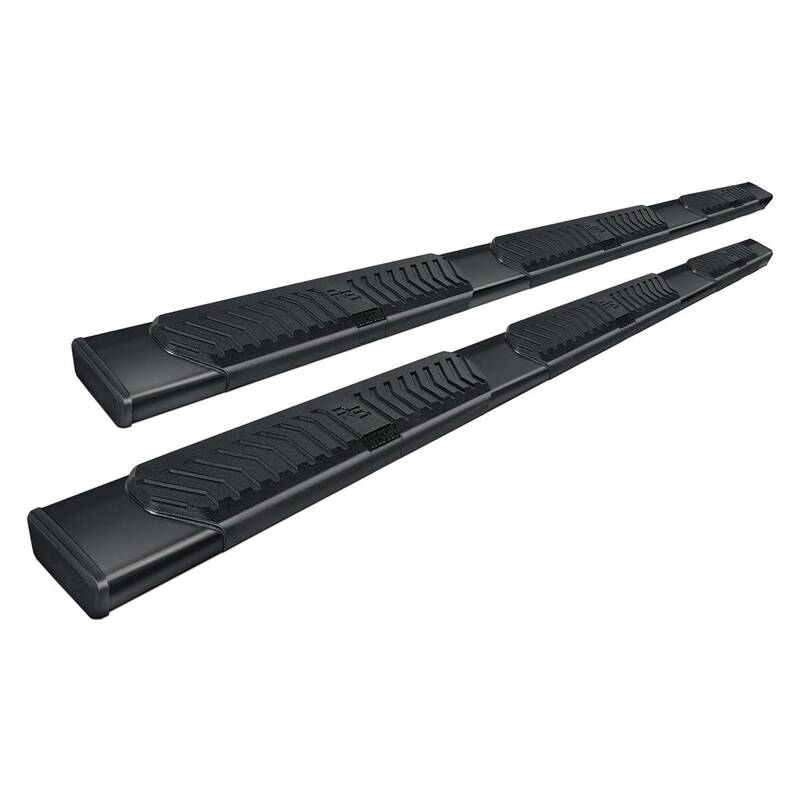 The extra wide 5” footprint step design provides easier and safer vehicle access for both drivers and passengers. 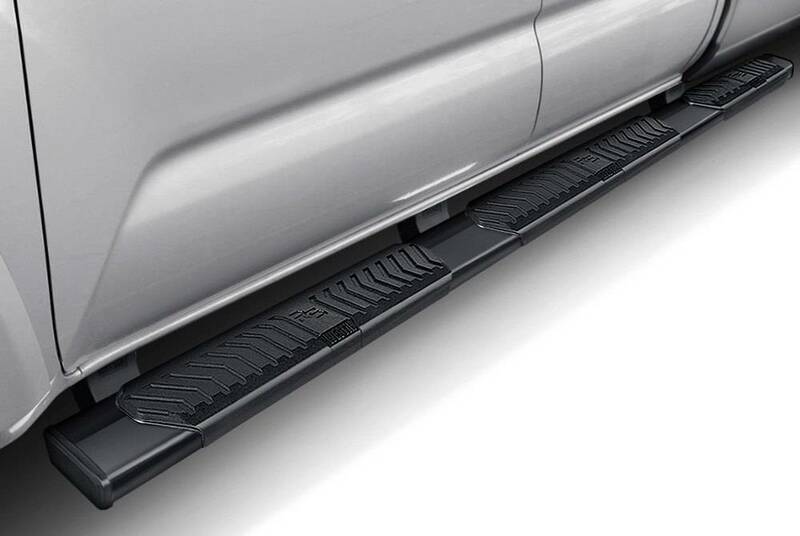 Featuring three oversized skid-resistant step pads, the R5 Modular Wheel-to-Wheel allows easy access to the vehicle cab or truck bed cargo area. Developed and engineered in the USA, the R5 Modular Wheel-to-Wheel includes injection molded bracket covers for a clean and stylish look. 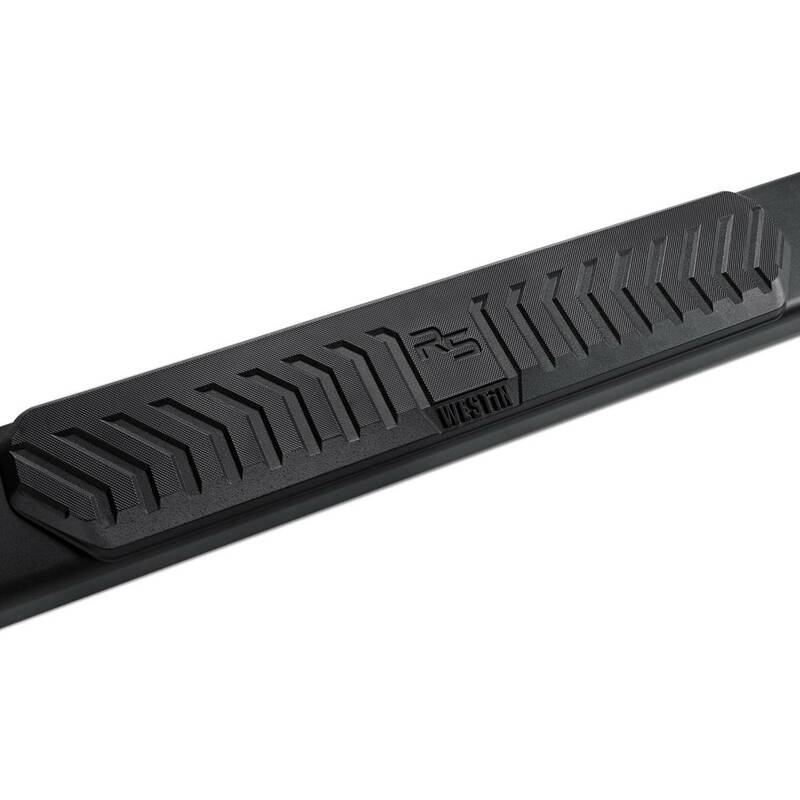 Built with high-grade and corrosion resistant steel designed to mount directly to your vehicles existing rocker panels. The Modular design saves you money on shipping, as no truck freight costs are required. 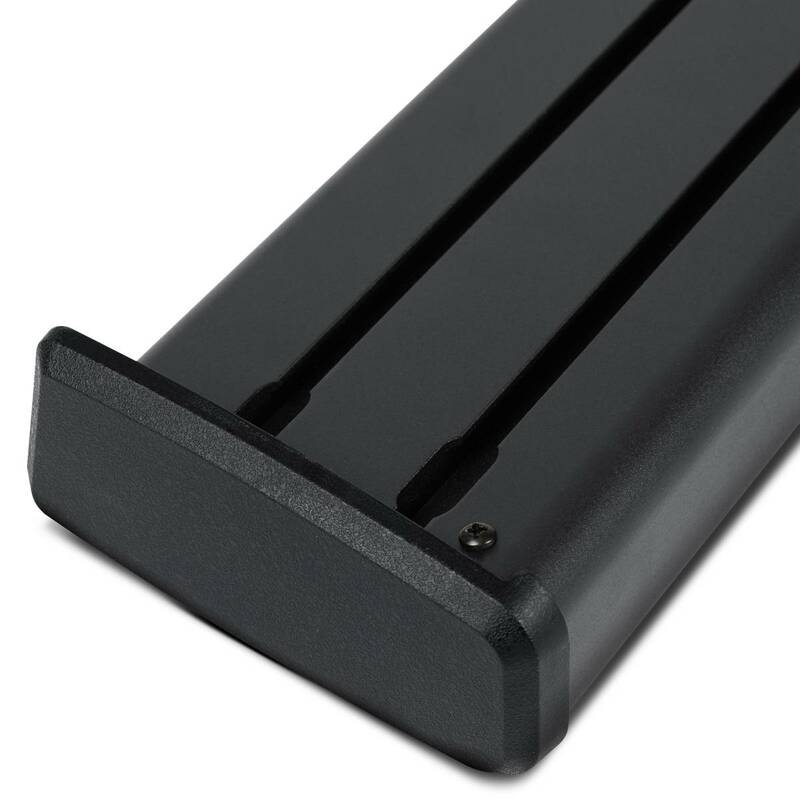 Come with a lifetime warranty for stainless steel version, and 3-year warranty for black aluminum version. 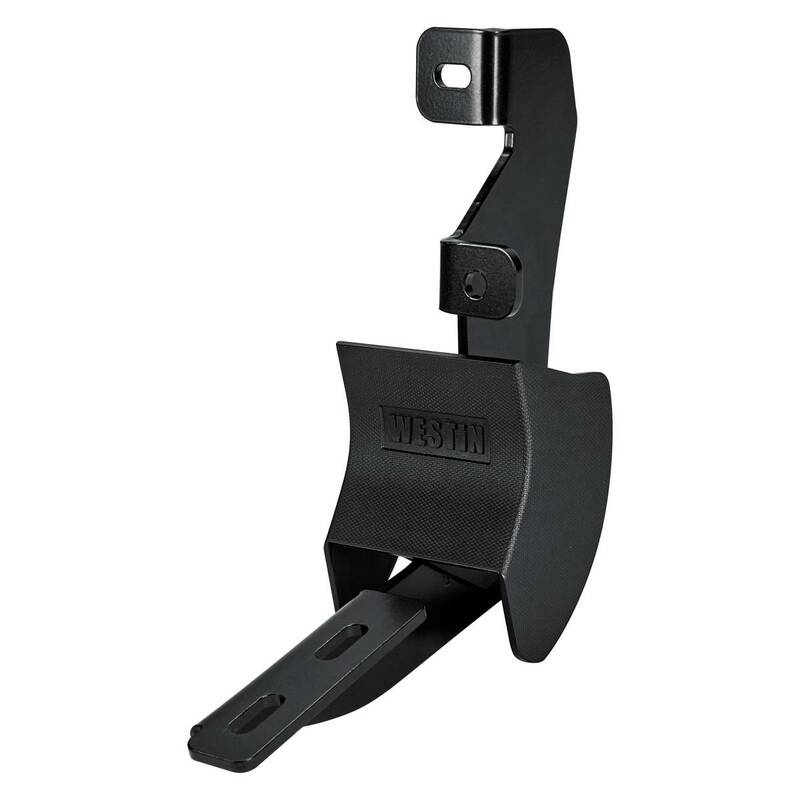 Westin Automotive Products, Incorporated is a manufacturer of premium quality truck accessories. 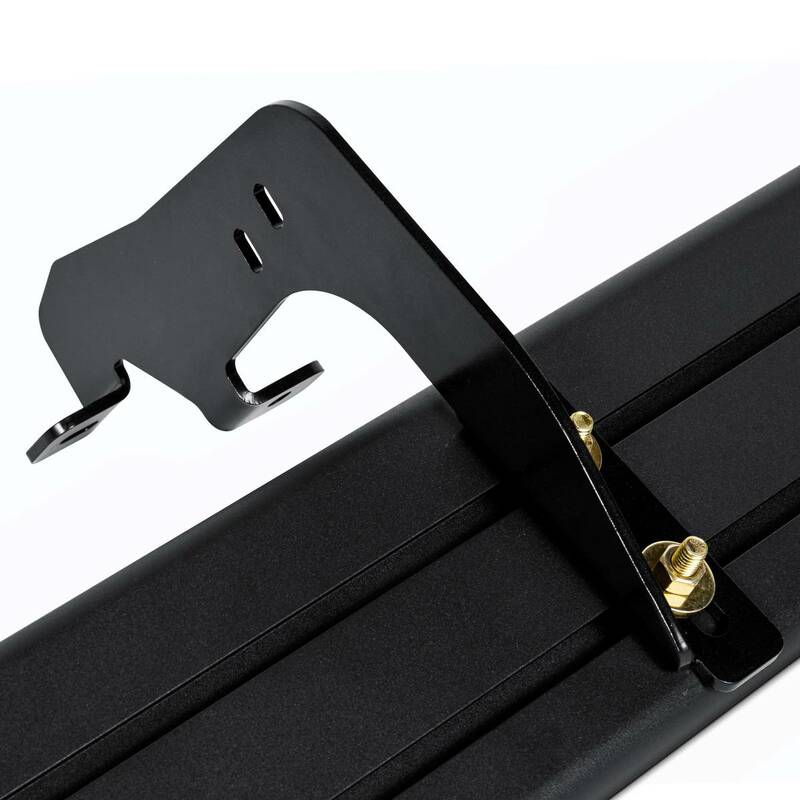 They sell directly to reputable warehouse distributors and chain retailers, who in turn provide the best service to consumers, offering the widest selection of inventory and quick delivery. Westin product designs must first pass engineering testing, then be approved by the pickiest crew of all--their salespeople! Then they are built with strict quality control guidelines. 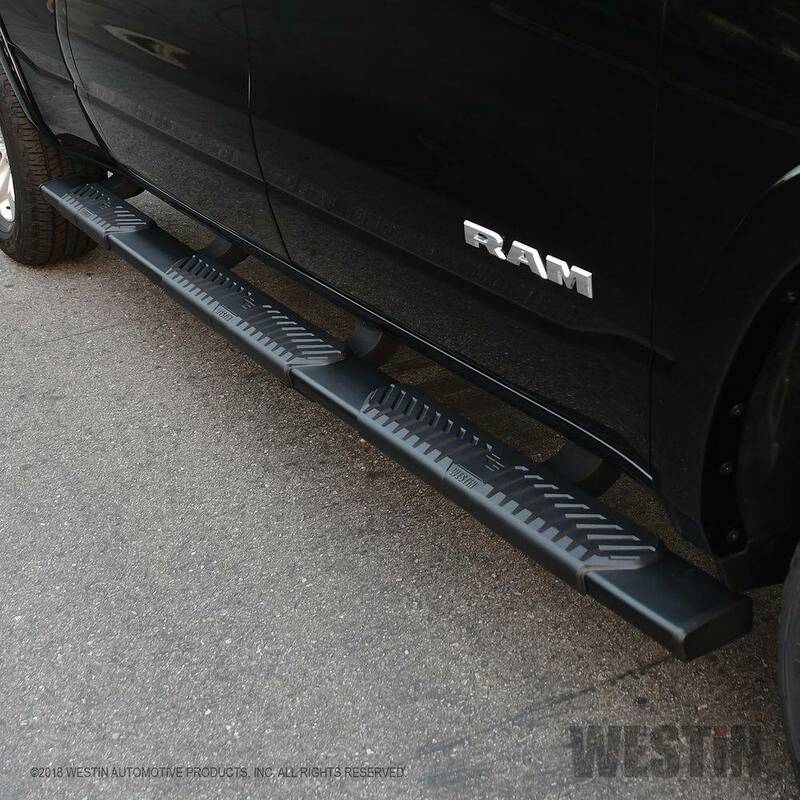 Westin finishes even undergo scientific salt spray testing to ensure superior rust protection. Westin goes the extra mile to be the best. 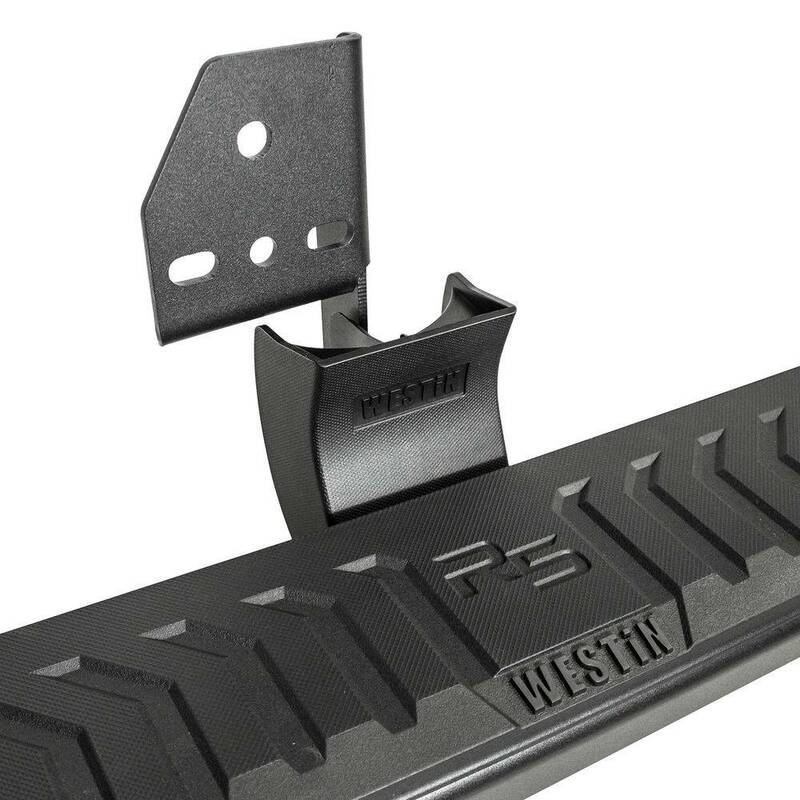 So, whether you drive on the snowy roads of Canada, the twisting roads of the high Sierras, the sweltering roads of the southern states or 4x4 without a road, Westin products will help protect your rig and will look great doing it...for a long, long time Westin products have been manufactured in St. James, Minnesota since the late 1970's. 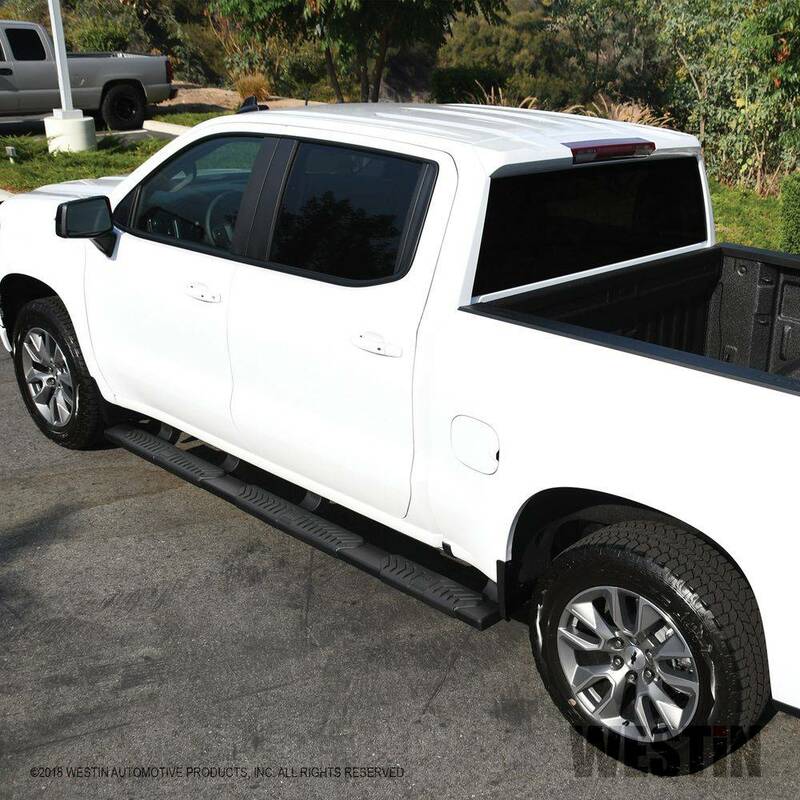 Recent manufacturing expansion efforts now include supplementary manufacturing in Irwindale, California. Westin's corporate facility is located in Irwindale, California. This facility houses customer service, marketing, national management and the executive staff. To better service their customers, regional managers and representatives operate in locations across the country. Free returns for 60 days if the product is unused in its original packaging, and excluding installed products. 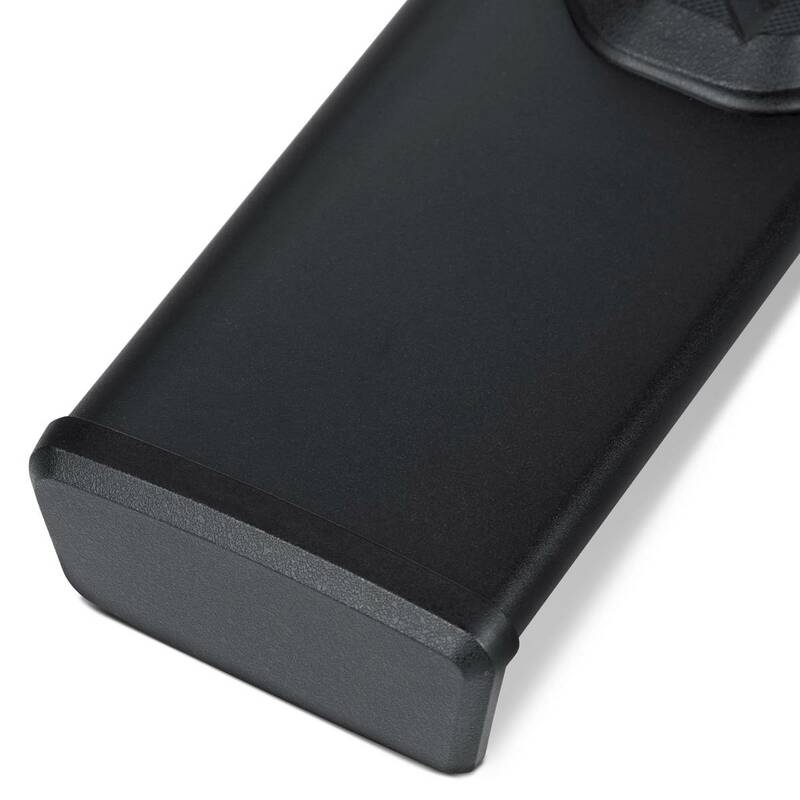 In other situations, if you decide you do not want the product you have purchased and it has not been installed and is still in the original packaging, you have the option to return the product at your expense. Please note, there are no returns for all special orders, customized seat covers, and any products that are made to order. Start by visiting and completing this form https://www.autoeq.ca/submit-a-request. We will review the submission and contact you with detailed instructions on where to send your return. You may also be issued an RMA number at this time. Box the item(s) securely and enclose a copy of the order confirmation. Clearly mark each box with the RMA number you were issued if applicable. You may also list the RMA number in the reference number section of the shipping label. When we receive your packages we will thoroughly inspect the returned items to ensure the validity of the return. If you are exchanging items, it is at this time that we will send out your replacement items. For returns please allow 10 to 25 business days for the credit (Possibility of minus up to 20% restocking fee due to the condition of the package) to appear on your credit card statement, although the process is usually much quicker. For more details, please refer to our Return Policy page. 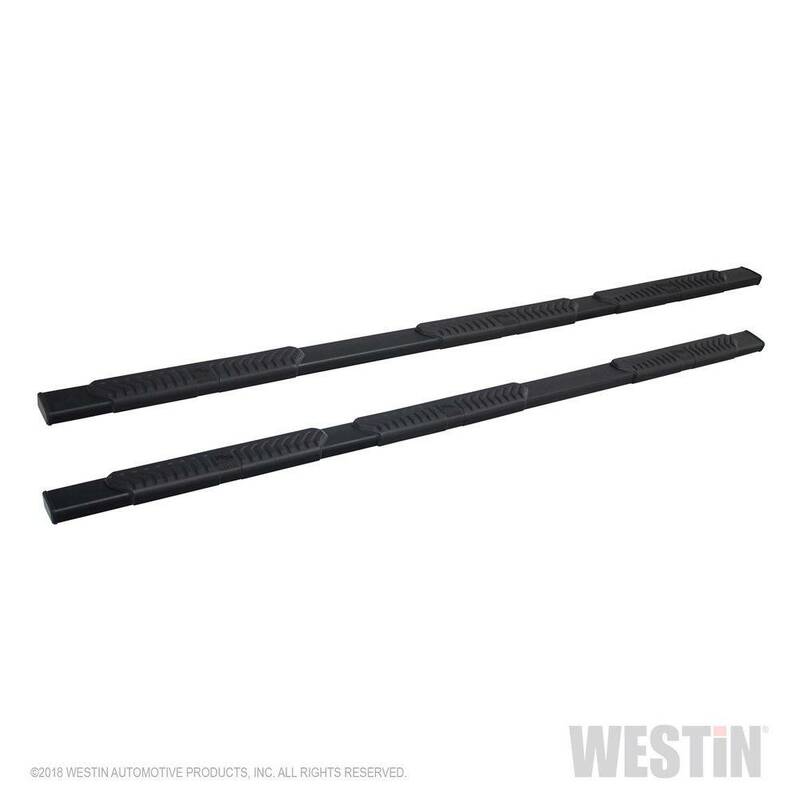 Westin Automotive Products, Inc. guarantees the original purchaser a lifetime warranty for stainless steel bars and 3-year warranty for black powder coated bars against manufacturer defects in materials, workmanship and finish under normal use excluding damage resulting from road hazards such as gravel or other debris, product misuse, improper installation, impairments from accidents, product modifications or product neglect. This lifetime warranty applies only to new products and is limited to the repair or replacement of Westin products. Warranty does not include costs of removal, installation, labor, freight, inconvenience or consequential damages. Original purchaser must return defective merchandise, along with the purchase receipt, to the original place of purchase. This warranty does not cover damage resulting from accident, misuse, neglect, improper installation, fire, vandalism or any form of abuse. Westin reserves the right to make the final decision on all warranty issue.